Preview TwoMorrows Publishing’s 2019 releases! We’ve just unveiled our new releases through June 2019, on our website, and in our new Catalog Update Flyer! So go to our home page to pre-order those items, or CLICK HERE to see and download the full flyer (a print copy will be included in all new orders we mail to customers)! This entry was posted in TNT on 25 June 2018 by Mr. Morrow. 3–2–1–It’s official! RetroFan #1 has launched! 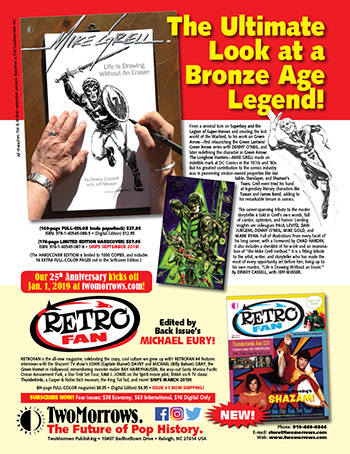 Michael Eury’s new mag RetroFan #1 is now shipping! Celebrate the crazy, cool culture we grew up with in RetroFan! 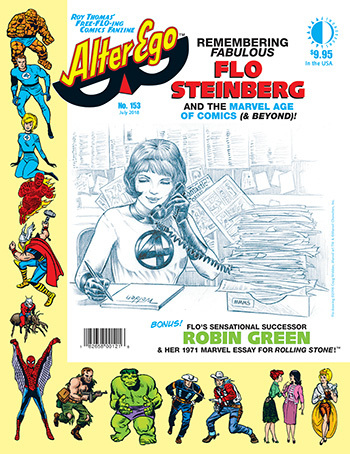 Michael Eury’s new quarterly magazine on 1960s, ’70s, & ’80s pop culture features celebrity columnists from all areas of fandom: Toys, comics, horror and monsters, television, and film—we cover it all in RetroFan! 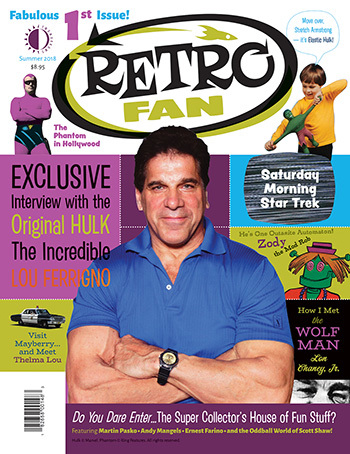 RetroFan #1 features an all-new interview with Lou Ferrigno! The Phantom in Hollywood! Filmation’s Star Trek cartoon! “How I Met the Wolf Man: Lon Chaney, Jr.”! Goofy comic book Zody the Mod Rob! Mego’s rare Elastic Hulk toy! RetroTravel to Mount Airy, NC (the real-life Mayberry) for an interview with Betty Lynn (“Thelma Lou” of The Andy Griffith Show) and Andy Griffith Show collectibles! Plus inside super-collector Tom Stewart’s eclectic House of Collectibles, a Too Much TV Quiz, and a shout-out to Mr. Microphone! 84 full-color pages, $8.95 US cover price. Issue #1 is also available on Amazon here! Look for it in Barnes & Noble stores, and other newsstands in early July. This entry was posted in TNT on 20 June 2018 by Mr. Morrow. SHIPPING TODAY! 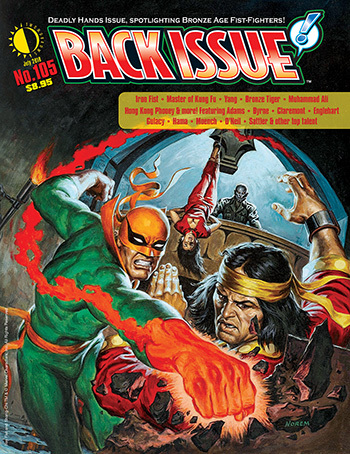 The Bronze Age’s greatest fist-fighters bust loose in Back Issue #105, the Deadly Hands issue! Featuring histories of Iron Fist, Master of Kung Fu, Yang, the Bronze Tiger, Hands of the Dragon, Neal Adams’ Armor, Marvel’s Deadly Hands of Kung Fu mag, and… Hong Kong Phooey! Plus Muhammad Ali in toons and toys. This entry was posted in TNT on 19 June 2018 by Mr. Morrow. This entry was posted in TNT on 18 June 2018 by Mr. Morrow.